Ground Golf is also a sports activity adapted for elderly people. The perfect swing is no longer a necessity to strike the ball as an effortless movement will do the job and reach the target. The players will still need to walk from hole to hole and will therefore stay in shape. Used retirement homes as programs to entertain the elderly, this game creates genuine social ties that are a source of well-being, joy and satisfaction. 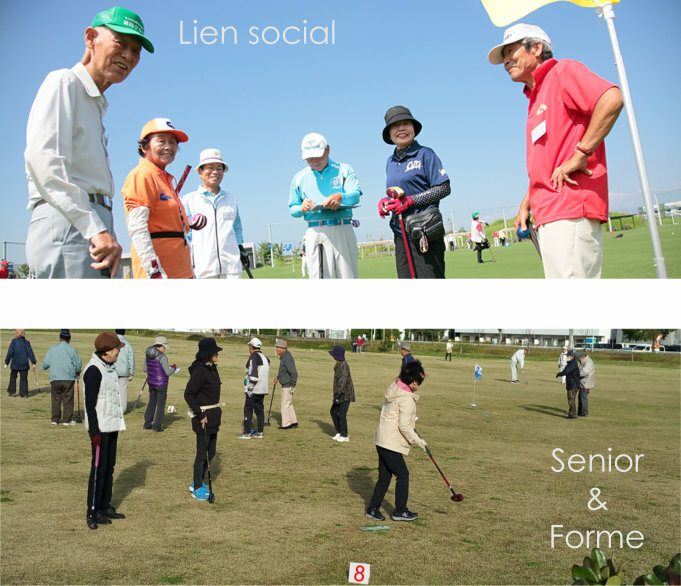 Throughout its development program, Ground Golf organizes events for institutions which host senior citizens. Thus, a dynamic of leisure golf spirit exists between these establishments and therefore valorizes them. Entertainment, tournament with prizes, gift certificates, attendance diplomas etc. are handed out to each participant.